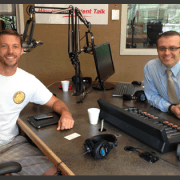 You are here: Home / Blog / Social / Humpback Whales Return to Maui, Hawaii!!! 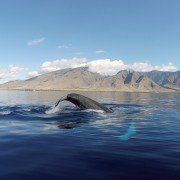 The first whale was spotted just last week off of Maui’s Kihei South shore. 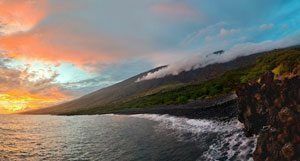 Everyone knows that there is no better way to see these Humpback whales than in Maui Hawaii up close and person in an ocean kayak, Hawaiian Outrigger Canoe or Stand Up Paddle board SUP. No large whale watching boats full of people, no crowds. 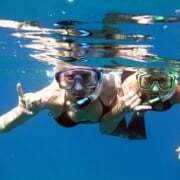 Just you, your friends or family, our Maui Ocean Guides and the Humpback Whales!!! 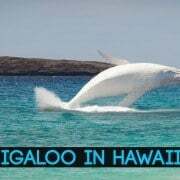 Remember that the waters around Maui, Hawaii are part the NOAA Humpback Whale Sanctuary and thus it is illegal to approach a Humpback Whale within a 100 Yard (300 feet) distance. 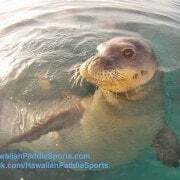 This applies to any vessel (motor boats, sail boats, kayak, canoe, SUP, etc), or even if you are not in a vessel (swimming or snorkeling). Learn more about safe viewing habits check out: NOAA Humpback Whale Viewing Guidelines. 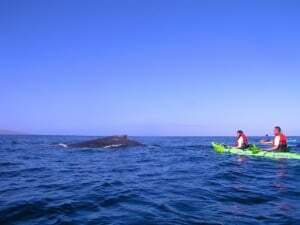 Humpback whale visits these kayak paddlers.